Airplanes, with their cramped quarters and crowded conditions, would seem improbable settings for sexual assaults, but recent news accounts show they do happen. A Detroit-area man who was convicted of sexually assaulting a sleeping passenger during an overnight flight was sentenced to nine years in prison, and two men were charged in separate cases last year. In August, a female passenger described on Twitter how a man masturbated sitting next to her for hours. And this week, two flight attendants for JetBlue filed a lawsuit in federal court against the airline and two of its pilots, alleging that the pilots drugged both attendants during a layover and that one of the pilots raped one of the women and a co-worker. The F.B.I. tracks only the cases that are reported to it, and the federal Department of Transportation says it forwards such reports to the relevant airline, not to other federal authorities. Ayn Dietrich-Williams, a spokeswoman for the F.B.I.’s Seattle field office, which started an awareness campaign about in-flight sexual assaults, said the number of such assaults reported to the bureau climbed to 63 in the 2017 fiscal year from 38 in the 2014 fiscal year. It dropped to 39 in the 2018 fiscal year. One-fifth of flight attendants said they had received a report of passenger-on-passenger sexual assault while working on a flight, according to a 2017 survey by the Association of Flight Attendants-C.W.A. Law enforcement officials were contacted or met the plane less than half the time, the survey found. The International Air Transport Association, an industry trade group, collects figures about disruptive passengers, a label that covers an array of behavior, including physical touching and racial slurs. Investigations can also be a jurisdictional maze, depending on which agency an assault is reported to, Ms. Palumbo said. It is not unusual for victims to return home and file a report with their local police department, which might then say it does not have the authority to follow up. Kris Macomber, an assistant professor of sociology at Meredith College in Raleigh, N.C., said the attacks were an extension of what women have long endured in other public spaces, such as streets, buses and subways. Any fear predators might have about getting caught is overcome by their perceived sense of control. 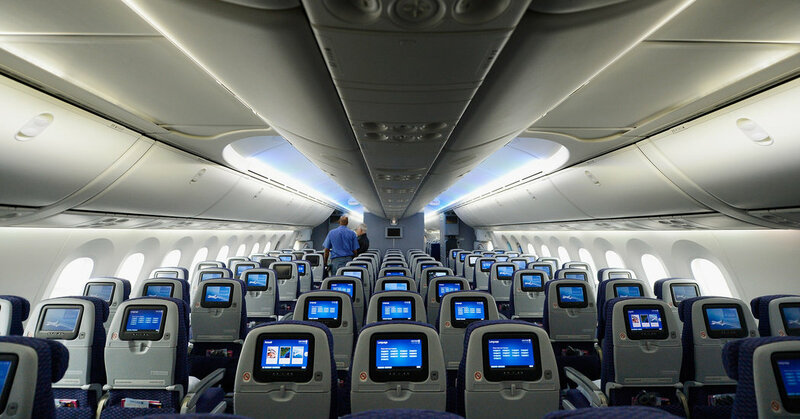 We also live in a “era of distraction” in which passengers watch movies, listen to music or take sleep medications, making intervention by fellow passengers less likely, Professor Macomber said. Ms. Palumbo said attacks had been known to happen in broad daylight and to passengers in aisle seats where they would be visible to even more potential witnesses. The F.B.I. said offenders would test victims’ boundaries by pretending to brush against them to see if they react or wake up. The agency suggested keeping the armrest down between you and your seatmates no matter how friendly they might appear. Tammy Yard-McCracken, the owner of Personal Defense Industries in Virginia and a certified conflict communication instructor, recommended that passengers be mindful about what they divulge to strangers. She recalled overhearing a woman tell a seatmate that the previous six months had been tough because of a divorce. “That’s intel to somebody who is target hunting,” she said. You could also put in earbuds, which Ms. Yard-McCracken described as “the universal signal that I’m not talking to other people.” If you are trying to ditch someone who you no longer want to talk to and signal you are going to end the chat, put in the buds and leave the music off. If a person makes you uncomfortable or is invading your personal space, ask to be relocated, Ms. Palumbo said. Don’t hesitate to press the call button for a flight attendant or leave your seat to seek one. Ms. Yard-McCracken recommended responding to transgressions of social norms by setting boundaries. Rory Miller, a former corrections officer who has written books about self-defense, suggested calling attention to yourself. A Federal Aviation Administration reauthorization bill last year included the creation of a sexual misconduct task force.